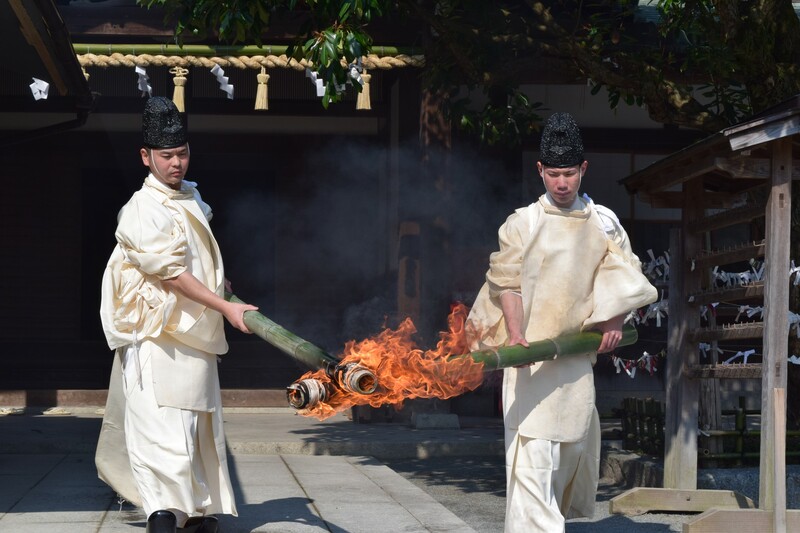 Once a year, the Fire Offering Prayer Festival (Damatakikitousai) “Fire Offering Ritual” will be held on February 11 (Monday, holiday) from 1 pm. 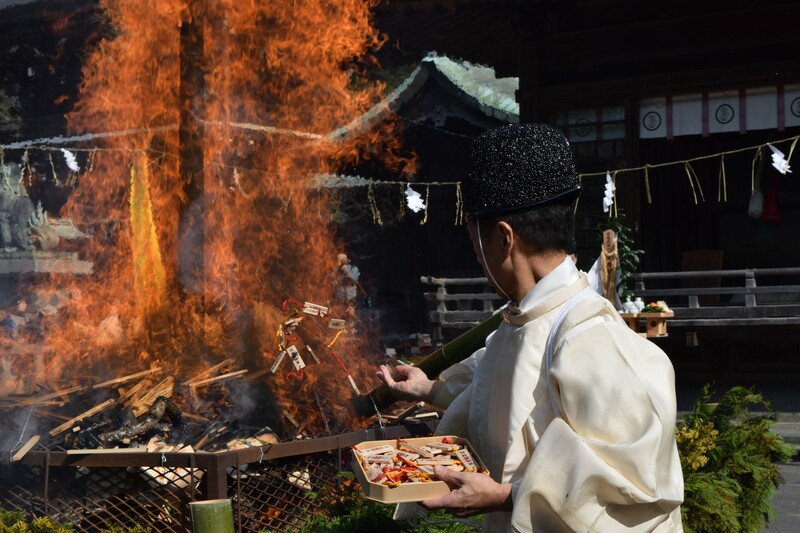 It is a ritual that exorcises the sins and impurities by burning the votive picture tablets, prayer sticks, and Homa sticks filled with everyone’s wishes under sound of the biggest drum in Japan. We get impurities and misfortune during our daily lives without even knowing. 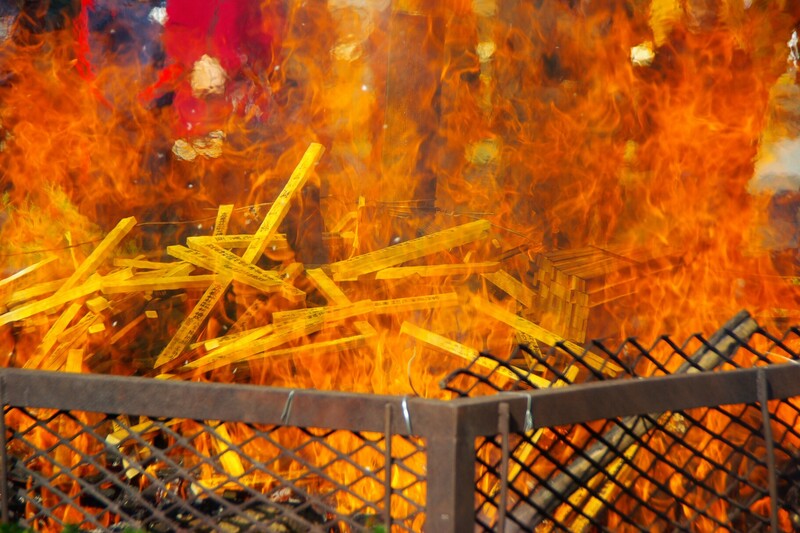 Therefore, by burning these sins with the scared fire, it will lead us to good fortune, free of illness and disasters, and fulfillment of various wishes. We also offer prayers through mail. Please contact Miyajidake Shrine Office for more information.